Tesco Super Concentrated Bio Liquid washing powder and laundry detergent review - Which? Tesco says that its Super Concentrated Bio laundry detergent liquid will deliver brilliant cleaning and keep whites bright. Our independent test results reveal the truth behind the claims, including how well this liquid laundry detergent removes a raft of stains, and how well it preserves the brightness of whites after multiple washes. 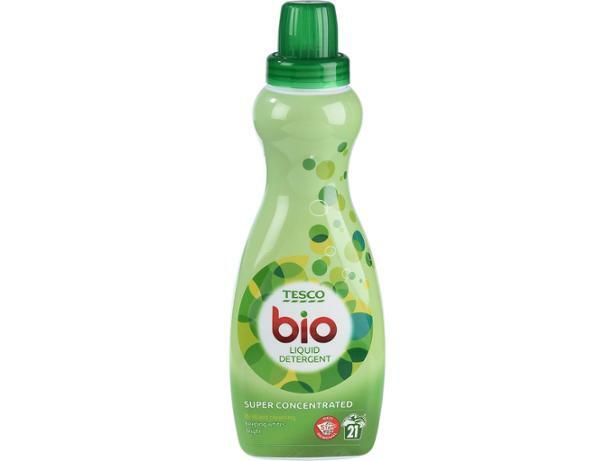 Check our full results to find out how Tesco's bio liquid compares with other laundry liquids.